If you are interested in this book, I presume you have written a book or plan to write one, and are thinking of self-publishing it. If so, this is the place to start. If you self-publish a non-fiction book of interest to a defined target market, or a book of fiction for people who read the genre you have produced, you can begin to promote it to interested readers. I have sold close to 10,000 books. So while I'm no E.L. James (author of the originally self-published 50 Shades of Grey), I am a happy and profitable self-published author. Perhaps you can become one too. Having said that, your desire to self-publish may not be all about book sales. You may be looking to write a book to give to family and friends. You may be looking to gain the credibility that publishing a book gives a speaker or workshop leader. You may have other reasons for publishing your book. No matter your reason, this book will answer many of your self-publishing questions, point you in the right direction and get you started. In short, as the title says, this book will help you produce, price and promote your self-published book. 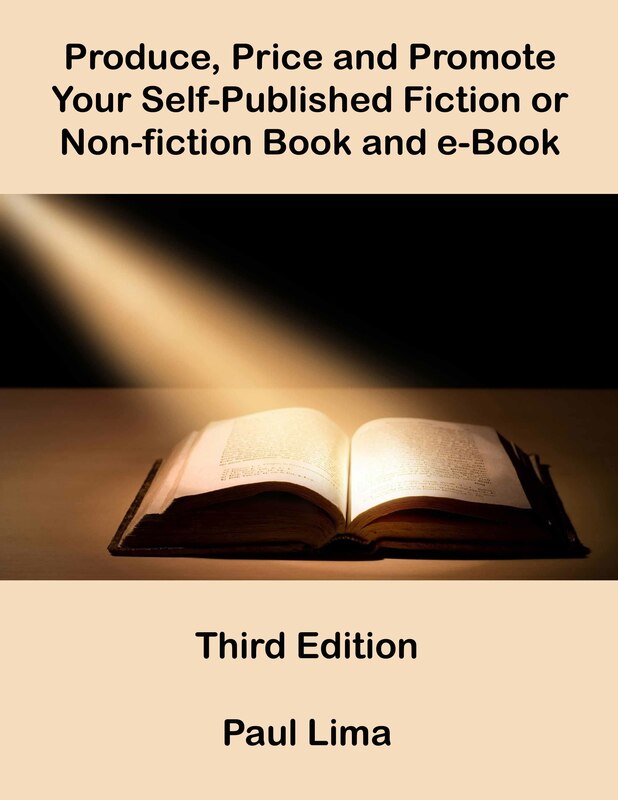 Paul Lima has taken his tried-and-true experience and turned it into an easy-to-follow guide to publishing your own book or e-book. You're one read away from everything you need to know to join the world of self-publishing. He is the author of 15 books, including the best selling How to Write a Non-fiction Book in 60 Days and Fundamentals of Writing: How to Write Articles, Media Releases, Case Studies, Blog Posts and Social Media Content. Four of his books are now used as University textbooks. Paul is also a freelance writer and business-writing trainer. In addition, he conducts writing workshops in person and online.